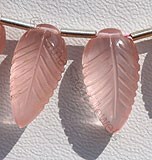 Do you want to change the direction of life? 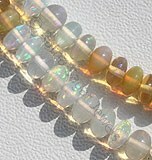 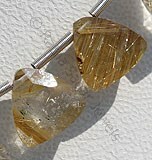 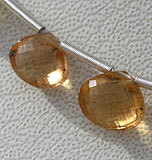 Then wear Golden Rutilated Quartz in Trilliant cut shape. 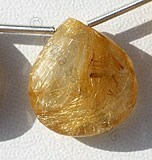 Ratna Sagar Jewels offers you AAA quality Golden Rutilated Quartz in a mesmerizing Trilliant cut shape. 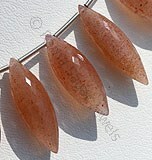 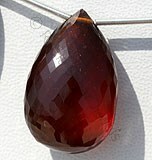 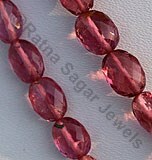 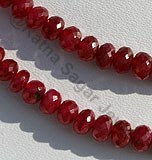 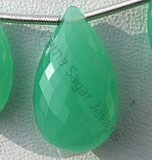 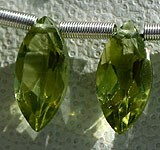 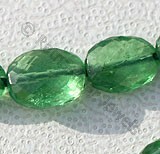 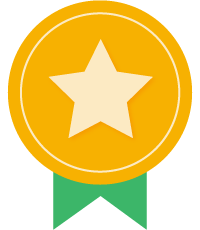 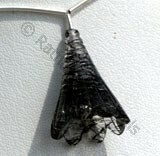 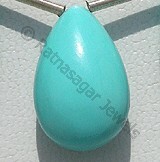 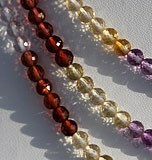 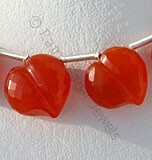 You can use it in earring, necklace, ring or any other ornament and wear on daily basis. 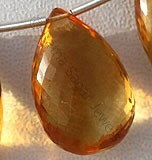 Soon you will see positive changes happening in life. 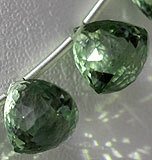 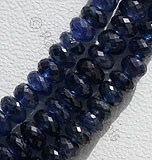 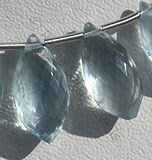 The gemstone in Trilliant cut has curved/uncurved sides. 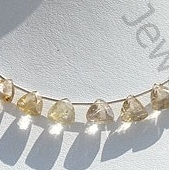 Trillions with straight sides are usually used as side stones in a setting, while stones with slightly curved sides are used as center stones. 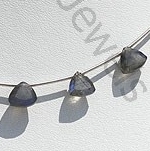 Depth in a Trilliant cut is an important factor to consider as it can greatly affect the fire and brilliance of the stone. 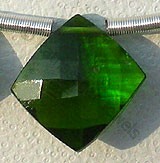 A well cut Trillion with great fire and brilliance can hide inclusions fairly well. 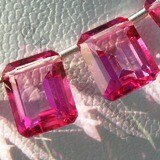 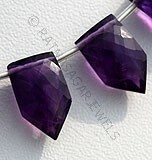 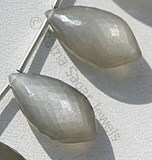 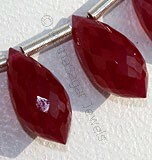 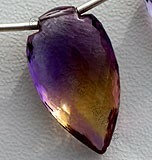 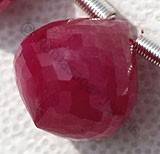 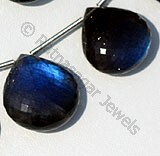 Check the beautiful online collection of Trilliant cut shape in a variety of gemstones. 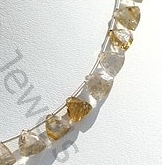 Natural Golden Rutilated Quartz Gemstone possesses property of transparent Quartz consist sparse Golden yellow Rutile hairs with gem cut, Trilliant Shape. 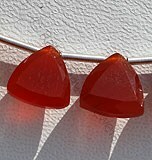 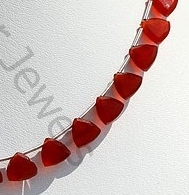 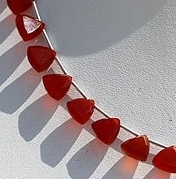 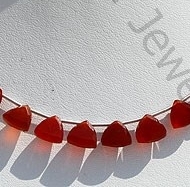 Carnelian Gemstone is a variety of natural chalcedony, which is treated to enhance color, possess property of semi-transparent with vitreous luster and are available in red-orange color with gem cut, Trilliant Shape. 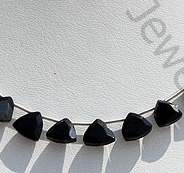 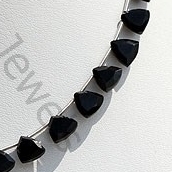 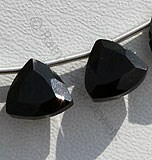 Natural Black spinel Gemstone Beads possesses property of opaque and vitreous luster is available in zed-black Color with gem Cut, Trilliant Shape. 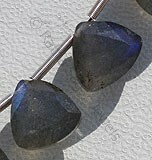 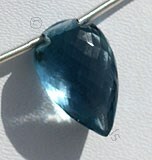 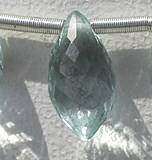 Labradorite gemstone is the most beautiful iridescent play of colours, possess property of semi-transparent with vitreous to pearly luster and are available in black color with peacock blue flashes in gem cut, Trilliant shape. 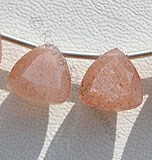 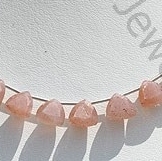 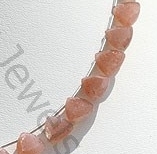 Natural Pink Moonstone possess property of translucent and are available in Tea Rose-Pink Colour with silver power in gem cut, Trilliant shape.